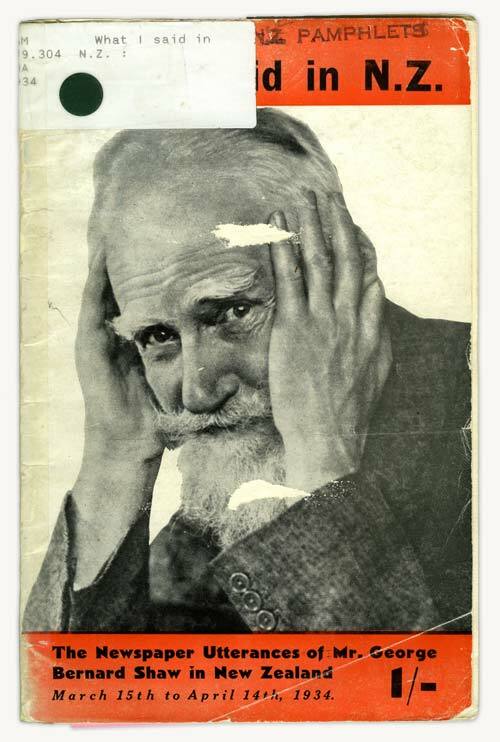 When the Irish playwright George Bernard Shaw visited New Zealand for about a month in 1934 there was extensive newspaper coverage. Journalists were very keen to find out what he thought of New Zealand. Every interview with the famous man was reported word for word, and this book of the press reports was published within a week of his departure.